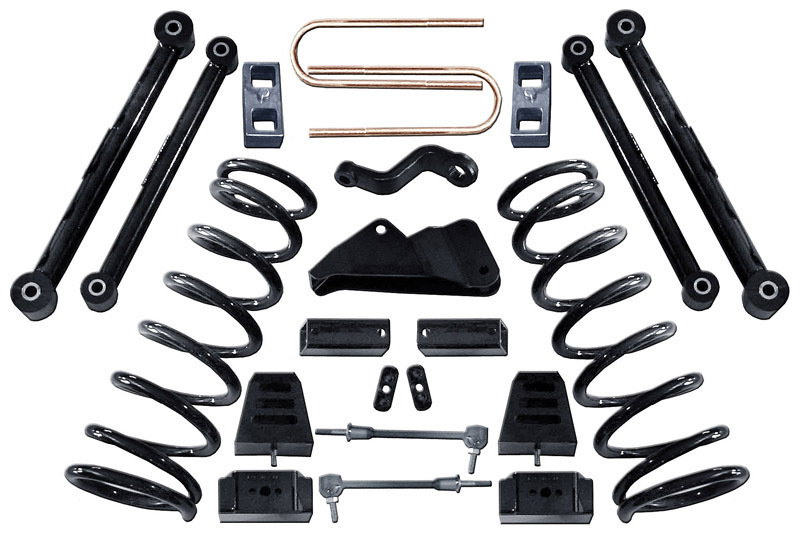 The 4" system, in addition to new engine specific coils, includes a dropped pitman arm for steering correction, specially designed compression travel stops for the front and rear axles, a new track bar relocation bracket, and all new axle-to-frame link arms to restore factory alignment specifications. Optional Rockrunner links are available for those who demand optimal articulation and off-road performance. Lift blocks raise the rear two inches to negate most of the factory nose-down stance. 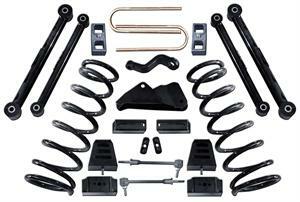 The factory rear springs are well designed units so axle wrap-up is generally not a problem.